The industrial style has become more popular in recent years with the rise of farmhouse decor, which often incorporates industrial elements. These elements bring a masculine, edgy look to the table. They look great in contrast with softer elements and add character to the decor. 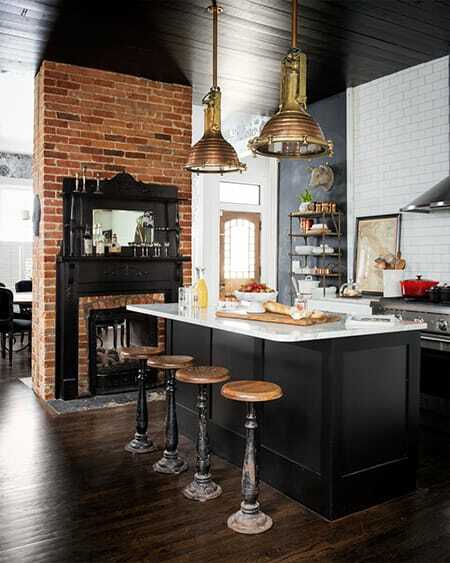 In a kitchen, the bar stools are the perfect way in which to incorporate an industrial flair. Industrial bar stools come in many different forms. Typically, they’re made of metal, iron, wood or a mixture thereof. They can be antiqued, distressed or polished. It all depends on the look you want to create. 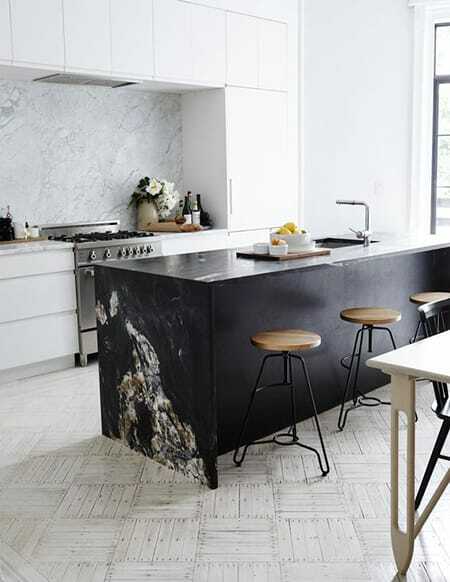 Look at the overall design and color scheme of your space, think about the mood you want to cultivate and look for a bar stool that captures it while also bringing in that edgy, industrial look. Here are 10 examples of industrial bar stools to give you some ideas and inspiration. 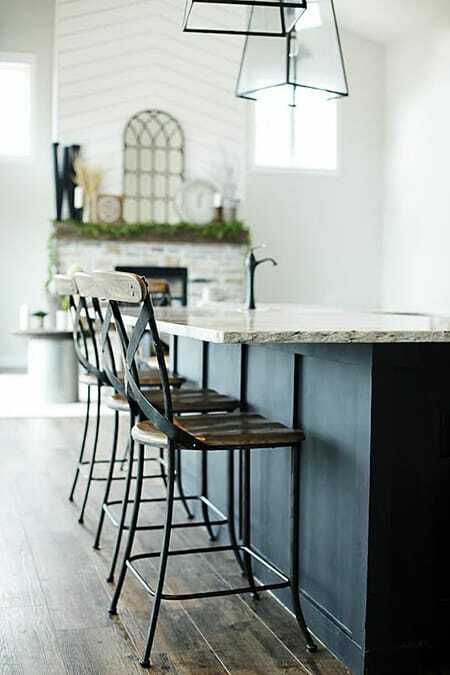 Distressed metal bar stools bring a rustic edge to this elegant farmhouse kitchen. These iron and wood bar stools are full of masculine, industrial character. Faux sheepskin throws soften the industrial seating while maintaining the look. 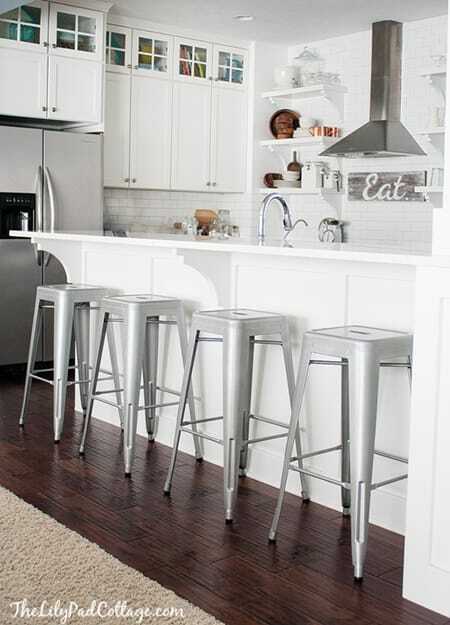 Metal stools are chic and fit perfectly under the counter to make room in the walkway. 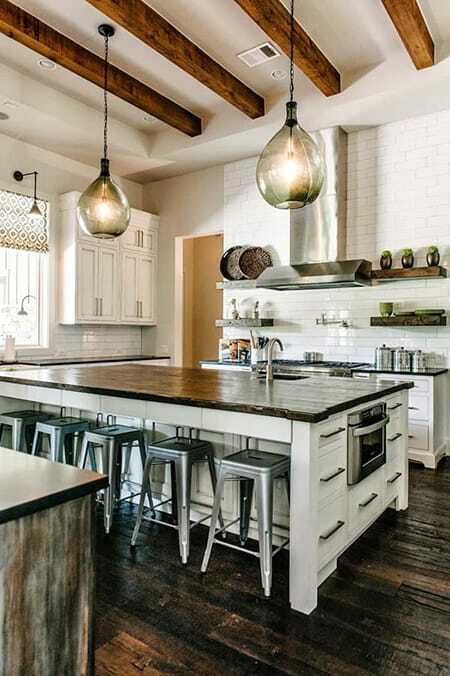 This kitchen embraces a transitional look with the bar stools providing a touch of industrial style. 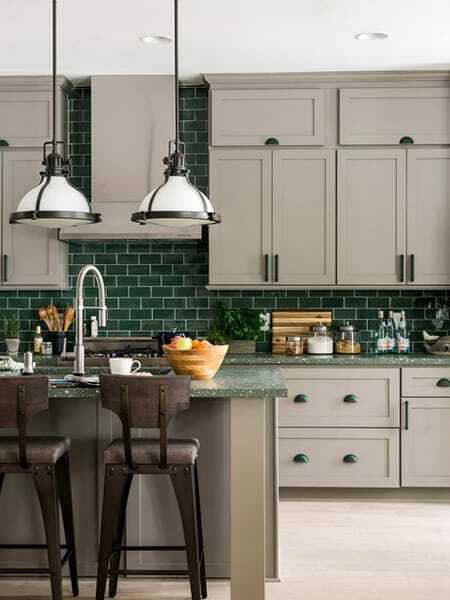 How beautiful is that green tile backsplash? The bar stools play off of it well. The curved shape of the stools creates a beautiful visual element. These stools add character without taking away from the statement the island is making. This beautiful kitchen makes you feel like you are walking right in from the farm. 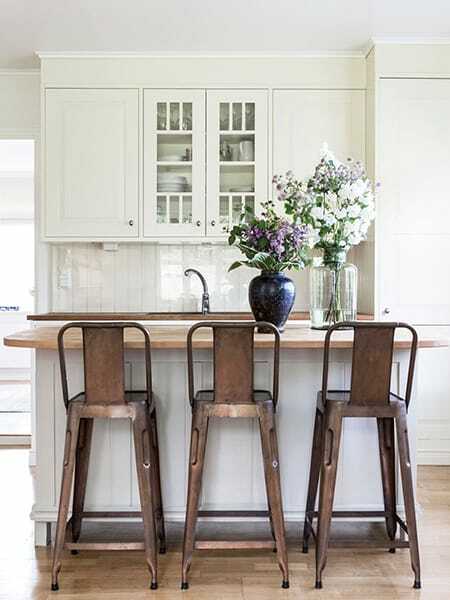 Antique stools add to the abundant character and charm at work in this historic kitchen. 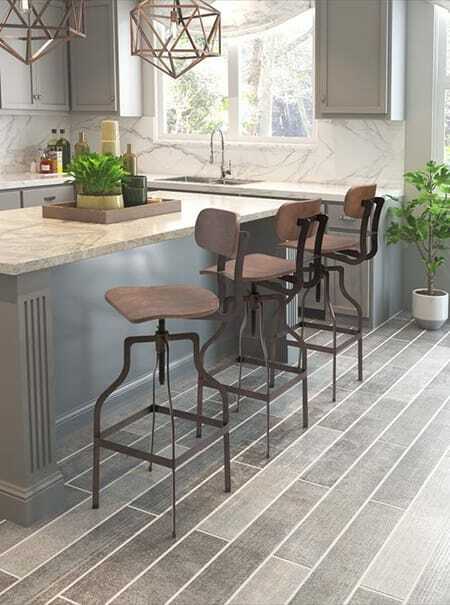 Bar stools are a small detail that can have a big impact on your kitchen.